Sogou’s mobile keyboard is the top Chinese input application on both iPhones and Android phones while mobile search also showed strong momentum. In 2014, Sogou continued on its rapid growth trajectory upon the smooth integration with Soso, Tencent’s search brand. Sogou now provides a full range of search services for the vast number of Tencent users. Sogou have deepened cooperation with Tencent’s WeChat. Following the launch of a unique function that allows Sogou users to search content published by WeChat official accounts, in their latest version of our mobile search App, they added a new feature called “WeChat Headlines“, which surfaces the most popular and breaking news stories being shared on WeChat. 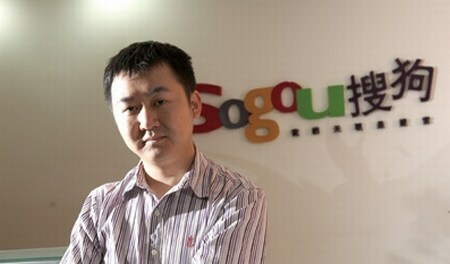 Sogou have seen robust search traffic growth with mobile traffic growing over 150% in the past twelve months. Total revenues were US$1.7 billion, up 19% year-over-year. Brand advertising revenues were US$541 million, up 26% year-over-year. Of this, revenues of Sohu Media Portal were US$198 million, up 9% year-over-year. Revenues of Sohu Video were US$176 million, up 61% year-over-year. Sogou revenues were US$386 million, up 79% year-over-year. Online game revenues were US$652 million, down 3% year-over-year. Total revenues for 2014 were US$1.7 billion, up 19% compared with 2013. Total online advertising revenues, which include revenues from the brand advertising and search and Web directory businesses for 2014, were US$899 million, up 43% compared with 2013. Brand advertising revenues for 2014 were US$541 million, up 26% compared with 2013. The year-over-year increase was mainly due to increases in revenues from the online video and real estate advertising businesses. Of this, revenues of Sohu Media Portal were US$198 million, up 9% year-over-year. Revenues of Sohu Video were US$176 million, up 61% year-over-year. Search and Web directory revenues for 2014 were US$358 million, up 80% compared with 2013. The year-over-year increase was mainly driven by the search business as a result of increases in the number of paid clicks and higher average cost per click. Online game revenues for 2014 were US$652 million, down 3% compared with 2013. The decrease reflected a decline in revenues from TLBB, following the strategic decision to simplify its gameplay, and from Wartune and DDTank, as both games have now entered a mature phase in China. The decreases were partially offset by the successful launch of a new mobile game, TLBB 3D, and a new MMO, Fantasy Frontier Online.